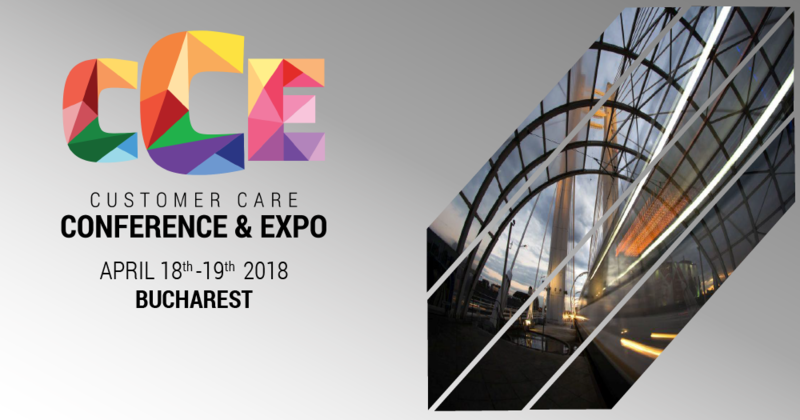 The 14th edition of Customer Care Conference will take place on the 18th and 19th of April 2018, at Biavati Events in Bucharest. Customer Care practitioners meet this year to discuss the praised advantages and chilling threats of the popular AI era, with direct influence on the three areas of: people, technology and business. Over 140 national and international customer care specialists from BPO, Telecom, Banking, Insurance, IT&C, Retail, FMCG etc are expected to join this year’s edition. As ‘31.7 percent of major companies are currently using AI in Customer Service. It is the second most common use of AI by companies after IT’, TATA Consultancy Services declares, we understand why so many industry specialists focus their attention on Big Data and behavioral profiling in order to deliver extraordinary customer experiences, fast, easy and cost effective and to consolidate the loving relationship between the customer and the brand. Balancing a Human Touch with Automated Support. Customer Care Conference & Expo benefits from the valuable support of the following partners: Plantronics trough ABN Systems International– Platinum Partner, Mediatel Data and Urgent Cargus – Gold Partners, Intrarom & Genesys – Silver Partner, Teleperformance Romania and Optima Solutions Services – Supporting Partners, Coca-Cola Hellenic Romania – Partner. A constant trajectory of evolution for the business community devised by a dedicated team. We constantly explore and set in motion new solutions for local and international conferences in multiple bisness areas: customer care, customer experience, customer care technology, debt collection & credit risk, fraud management, mobile advertising etc.